DISTRIBUTION: The seven different species are T. grayi, T. bivattatus, T. pacificus, T. habellii, T. delanonis, T. albemarlensis, and T. duncanensis but only one species is found per Island. 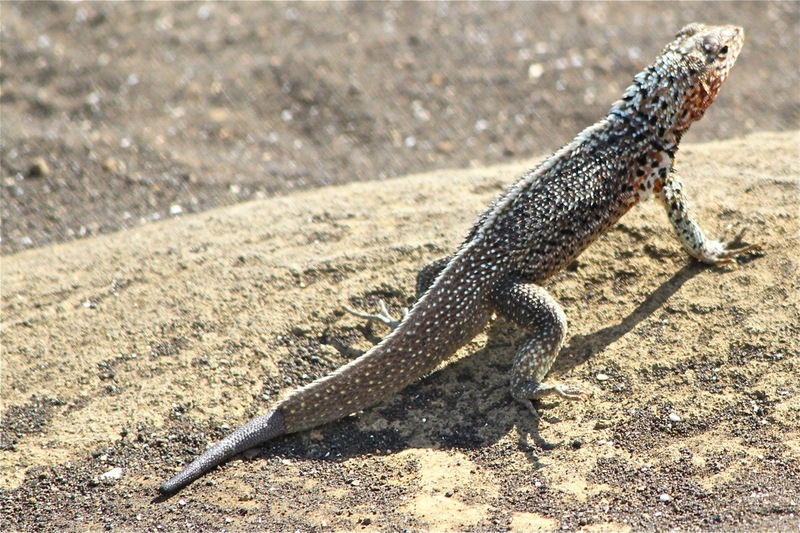 HABITAT: Lizards begin each day basking on the warm rocks for about an hour depending on the sun’s heat. APPEARANCE: The male is larger than the female growing to about 10 inches (25cm). Females have a bright orange throat extending up to cover some of the face. The male is pale tan, darker along the sides, and mottled with black speckles. There is much variability among species and even with the same species. 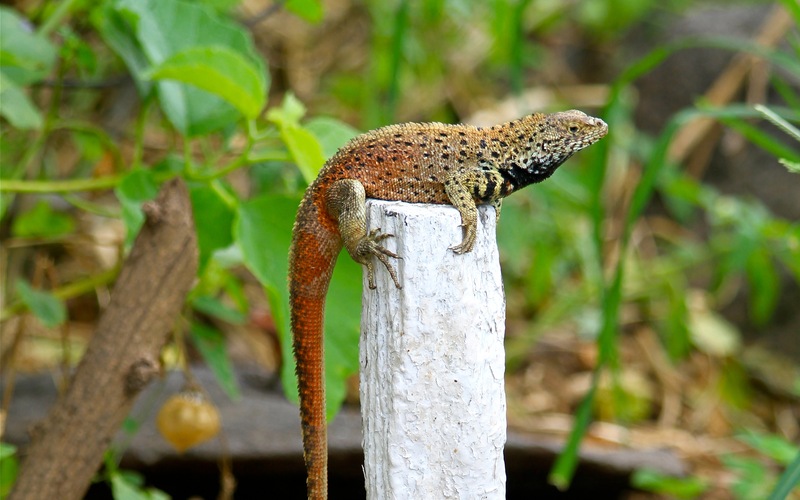 REPRODUCTION: Male lizards will mate with all females passing through their territory. Females will dig deep in the soil to lay their eggs to protect them. The period of incubation takes about 3 months (similar to Iguanas) before the young lizards born measuring about 2 inches long at birth. REMARKS: They are eaten by hawks, snakes, mockingbirds, herons, and centipedes. Besides camouflage, they have one major defense mechanism to help keep them from joining the food chain, by being eaten by a higher animal: they will “drop” their tail when a predator grabs hold of it. 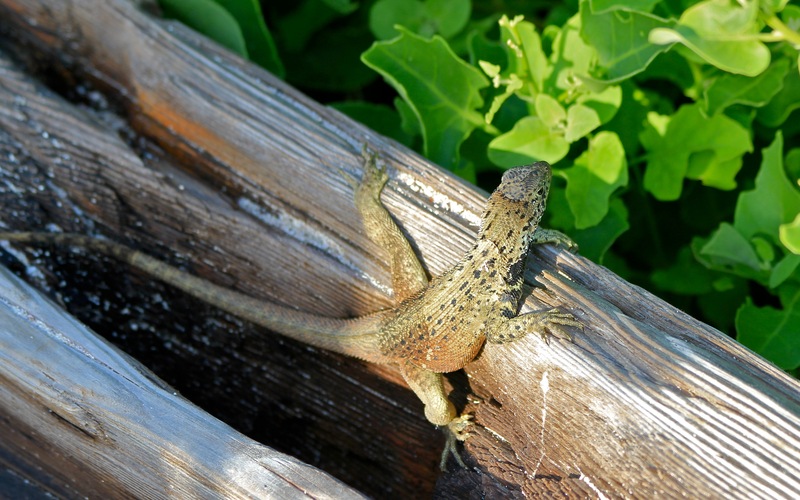 The dropped piece of tail will continue to move about while the lizard attempts to flee and will regrow slowly. 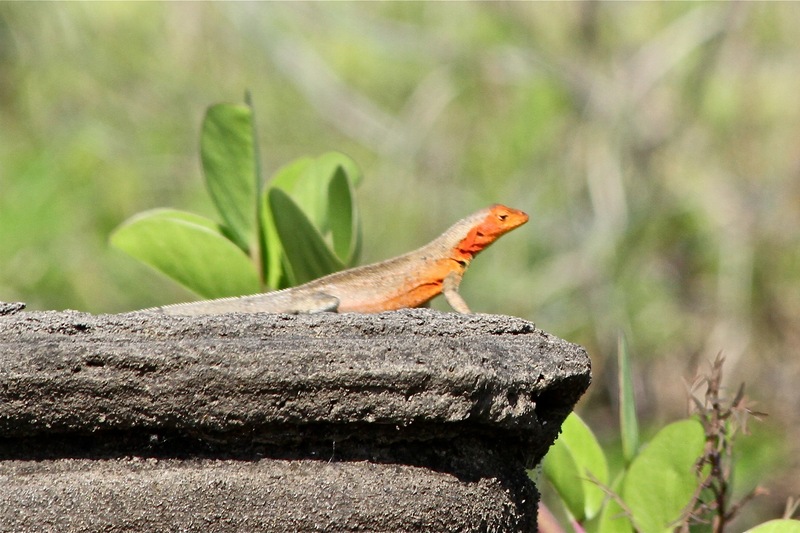 REMARKS: One often sees male and female lava lizards doing “pushups” defending their territory or while courting. thanks Ron. These are great. Resolution lets you really see details! !